I recently put a set of laufenn s-fit 225/55 r16s on the 560. My feeling is for cars that don’t get used a great deal better to change the tyres every 10 years than spend a lot and try and make them last longer. Apparently Laufenn is Hankook’s budget brand. I’ve been really happy with their grip and noise. Tread wear is not especially relevant as the car will do at most 2k per year. On the other hand I have a set of cheapies 15s on the SLC. I’ll have to check again on the brand but they have a much higher propensity to squeal and they don’t seem as grippy as the laufenn. For my wife’s car that does 10k per year I went with Michelin’s. Michel, you have never uttered a truer word. Mind you, however, that sort of philosophy applies not only to me, but to each and everyone of us. 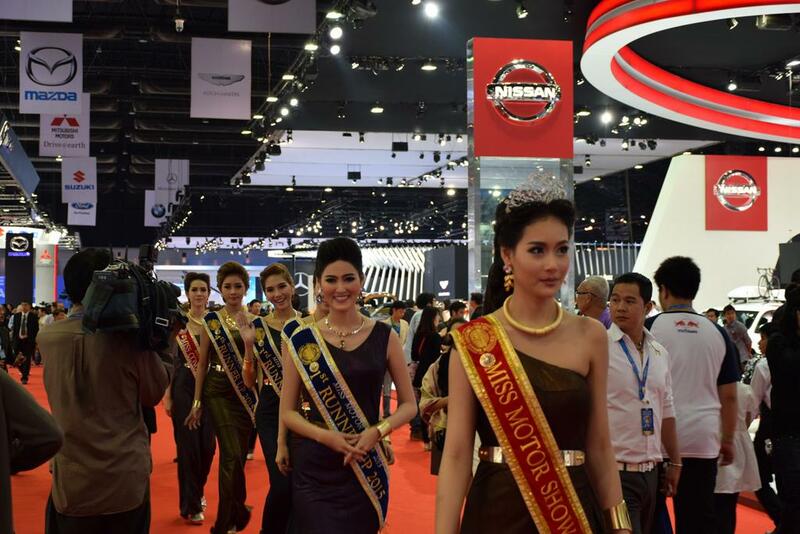 Do you guys know how hard it is to take pictures of cars alone at the Bangkok International Motor Show during Press Day? You have to ask the girls to move out of the way and they get seriously offended! What? You want a picture of the cars? How do you take pictures of cars only??? Is it a car show? or a 'Miss Car Show' pageant ??? ?